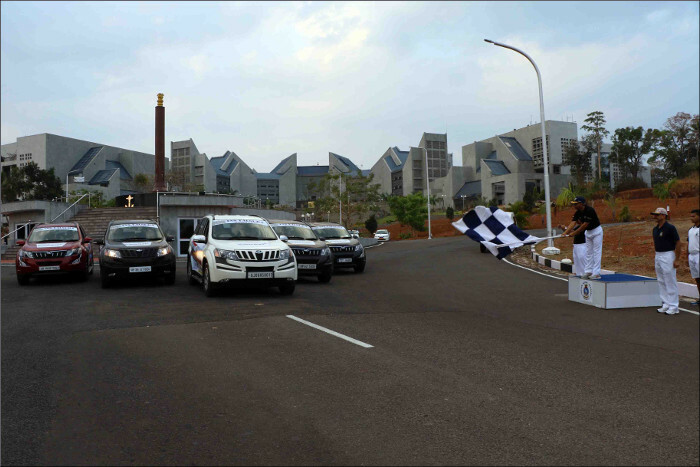 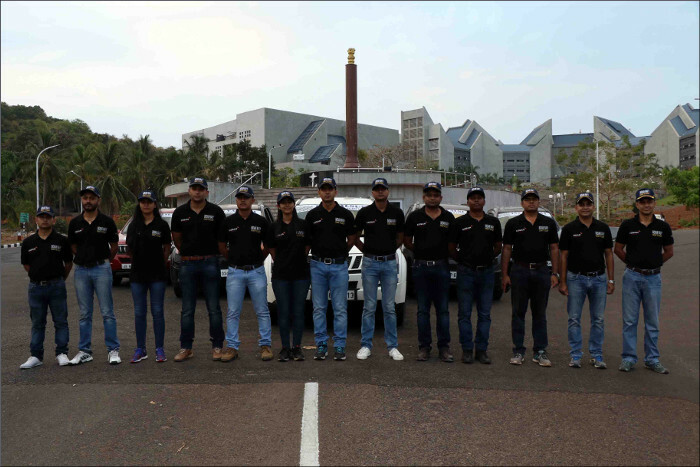 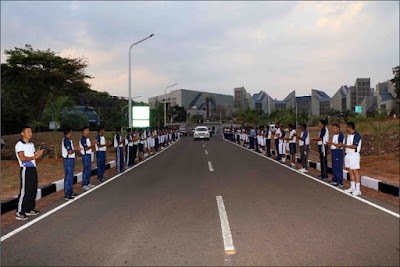 A 5-car rally team of Indian Navy’s Social Outreach Programme “Coast to Coast”, arrived at Indian Naval Academy on 21 March 2017. The rally is part of celebrations to commemorate the Platinum Jubilee of INS Valsura. 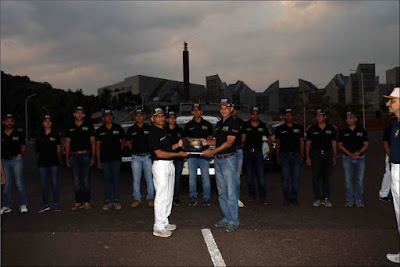 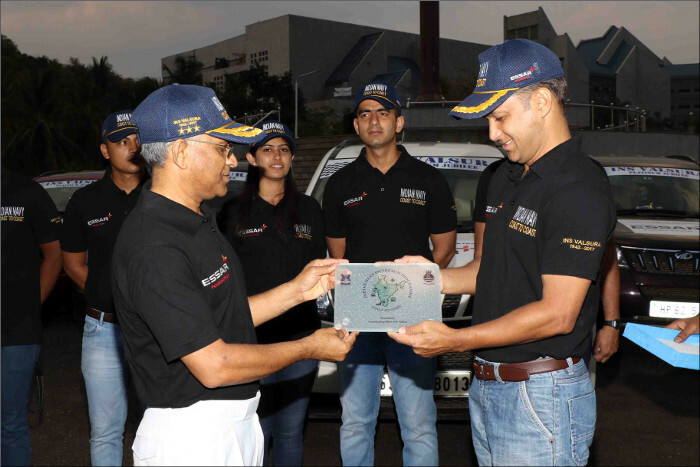 The team was formally received by Captain Sumeet Kapoor, NM, Training Captain (Coord), Indian Naval Academy. 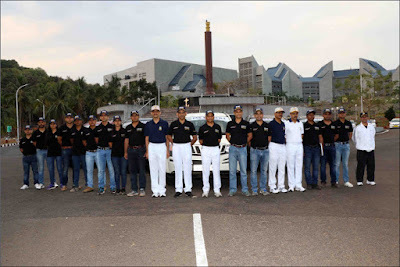 INS Valsura is a 75 year old establishment of the Indian Navy located at Jamnagar, Gujarat. 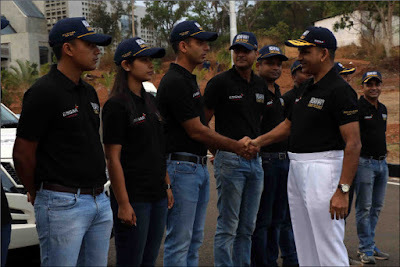 The establishment is a premier training institute for the Electrical Engineers of the Indian Navy. 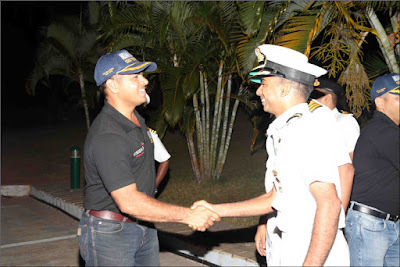 The establishment boasts of a rich maritime heritage, dating back to pre-Independence India of 1942, when the British Navy set up a Torpedo School on 15 December 1942 and named it Val-Sura from the Tamil words Val – “Sword” and Surah – “Fish"
As a part of the Platinum Jubilee celebrations of INS Valsura, the Indian Navy is commemorating the event with a unique ‘Coast to Coast’ social outreach programme to connect with the children and youth of the country along both coasts. 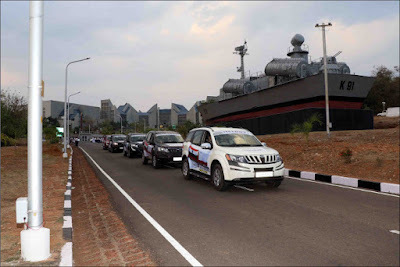 A mega road trip in five cars will cover a distance of more than 6000 km, touching all major naval establishments and places of maritime heritage enroute. The rally team will interact with local populace, war veterans and naval widows during the course of their road trip and also visit schools and colleges to spread awareness about the Indian Navy. The participants was flagged off at 0700 h today, Wednesday, 22 March 2017 from Indian Naval Academy by Vice Admiral SV Bhokare, AVSM, YSM, NM, Commandant, Indian Naval Academy. The crew would reach Headquarters Southern Naval Command, Kochi after visiting Kozhikode enroute.